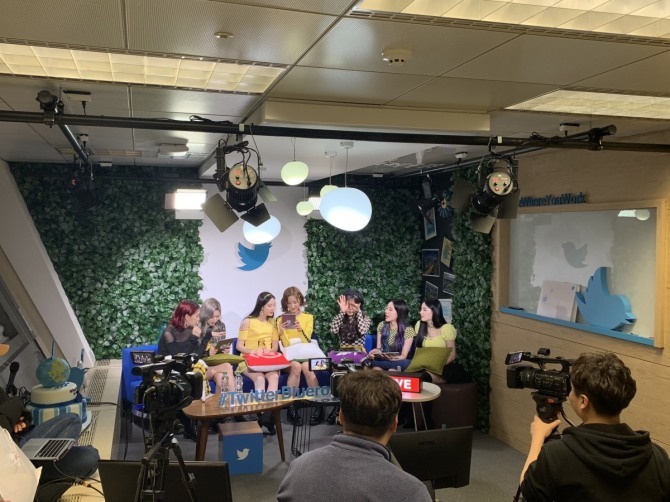 Friday was Twitter’s birthday, and having released a new album last week it was time for Momoland to go live in the Twitter BlueRoom. 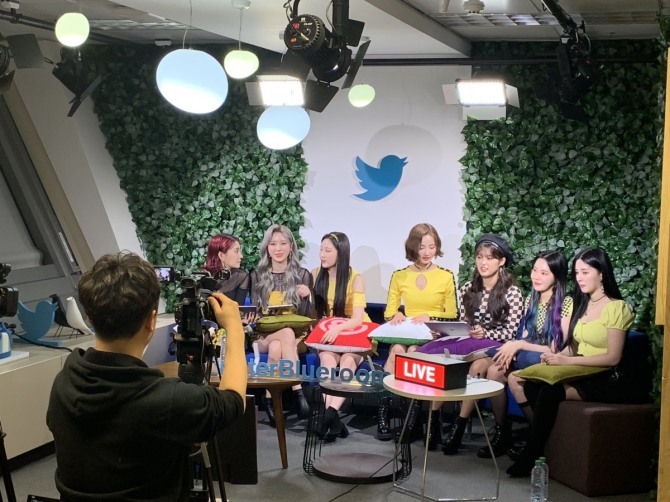 Wearing matching outfits in vivid colors, the seven-piece group filled Twitter Korea’s headquarters in Seoul with its energetic presence pretty quickly, showing no signs of nervousness despite the stream racking up over 450,000 views. 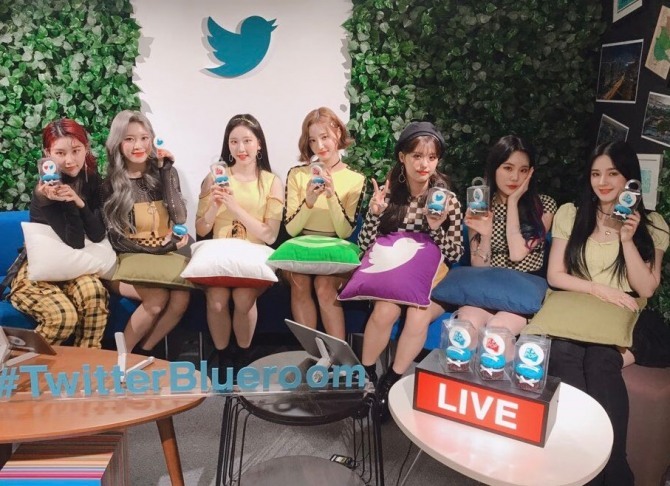 When one viewer asked if anything had gone wrong during the filming, Momoland didn’t hesitate to answer. “Because Hyebin wasn’t good at throwing glitter, we ended up shivering in the cold,” JooE said, prompting Hyebin to laugh shyly. “There is a scene at the beginning where I throw glitter with a bang. We were filming outside on a set in Namyangju and it was super cold,” Hyebin said. Feeling upbeat, the bandmates seized the chance to plug their new release. JooE said “I’m So Hot” is about a relationship that can draw attention wherever you go. Acknowledging how diverse the audience was, the band greeted fans in multiple languages including Japanese, Thai, Chinese, English and French. On a related note, Nayun said it’s always heartwarming to get handwritten letters in Korean from foreign fans. When the conversation veered back toward the new song, the band members shared their honest initial reactions. Hyebin said she had liked it. Ahin, however, said she had cried in her dorm. In the meantime, Nancy said she hadn’t had a strong opinion at first but had grown attached to the song over time. 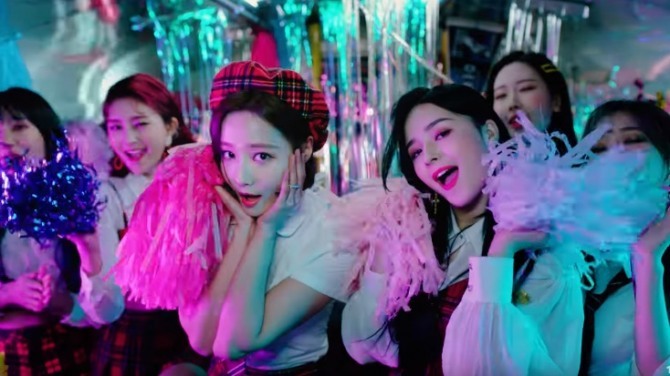 One comment made the band members burst into laughter: “The one with the checkered shirt speaks good Korean.” It’s worth noting that each and every member of the group is Korean, though Nancy is American as well. During the livestream, JooE also expressed her love for eggs. When another member pointed out that eating too many eggs can be a bad thing, JooE said, “I know a thing or two about eggs. When you eat more than two or three eggs a day, it’s not that it’s bad for you but it’s just less beneficial to your health. 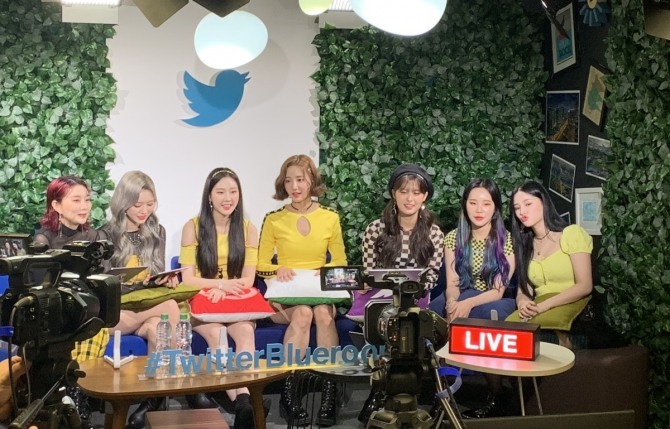 Momoland’s BlueRoom live broadcast can be viewed again via the band’s official Twitter account, @MMLD_Official. The Kpop Herald is the official media partner for the livestreaming show. Visit our Twitter account, @Kpop_Herald, for behind-the-scenes clips, exclusive photos and stories.